Your Best Skin: KENZOKI Belle De Jour White Lotus Mask. When I say that I am in awe of my skin after using this White Lotus Mask from Kenzo, I am not exaggerating. This mask has done wonders for my skin and will continue to do so, as I am making this a BIG part of my facial routine. 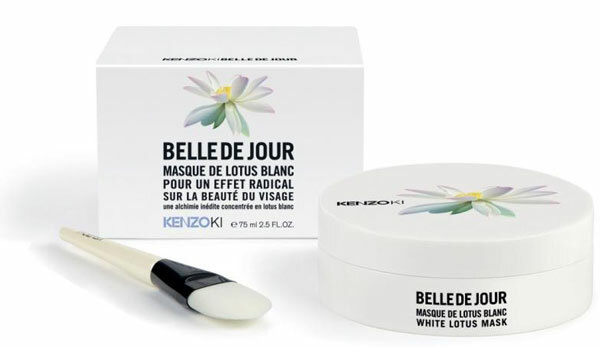 White Lotus Mask is part of the Kenzoki Belle De Jour skin care collection, and as fas as I am concerned, this latest addition is the star product of the line. With its concentrated active ingredients, the mask delivers hydration and radiance to fully revitalize the skin. After a short ten minutes, which I do like to stretch out and really indulge in my "at home facial time" my skin is left soft, supple, and glowing - immediately. The White Lotus mask wraps the skin inside a bubble, restoring its optimal balance of hydration and beyond. It is rich and velvety, but not heavy as it sinks into my skin. You can only get this mask online at kenzousa.com, where it sells for $70.00. Let me tell you though, it is worth it.